What Interest Rate Is Earned on an IRA? 2. How Is Interest Calculated on My IRA Savings or CD Accounts? 3. Can Grandparents Set Up Roth IRA Accounts for Their Grandchildren Under 18 Years-of-Age? So you've heard really great things about individual retirement accounts and are considering opening one to help you save for retirement. Now you're wondering, what kind of interest is an IRA paying? Not so fast. An IRA is not an investment, it's technically just a tax status that you put into a retirement plan. The investments you make are completely separate, and the returns you get will vary depending on the type of investments that your IRA contains. How Do Earn Money With an IRA? The easiest way to explain an IRA is to picture it as a bucket. This bucket holds a bunch of investments that you make with the money in your IRA. The selection is vast, and you can hold everything from stocks, bonds, certificates of deposit and exchange-traded funds to income-producing real estate and precious metals in your account. That breadth of choices makes IRAs an attractive choice for your retirement savings – but it also muddies the waters in terms of choosing the best investments. The beauty of owning an IRA – whether that's a traditional IRA or a Roth IRA – is that the money is going to grow tax-free while it's sitting in your account. And all the earnings your investments make each year are going to grow through the power of compound interest. Every time your investments earn a dividend or interest, the amount gets added to your account balance. The following year, you earn interest on the interest. Compound interest can really ramp up your savings even if you stop contributing to your account. But the bottom line is, the amount of money you earn along the way is going to be dictated by your IRA's asset allocation. There's no such thing as an IRA interest rate. Historically, investors have received the biggest return over time with stocks, which are also known as equities. Experts place the long-term, large-cap stocks return rate at around 10 percent compounded annually, a rate that dramatically outperforms bonds and cash. "Cap" refers to the valuation of companies. Large caps are the mega blue chips at the peak of their business cycle: think Apple, General Electric and Microsoft. Building a portfolio of individual stocks is a full-time job, requiring extensive research and monitoring of your portfolio. An easier option is to invest through index funds or exchange-traded funds. Here, money is pooled into a collection of securities so you can diversify without having to manage individual assets. It's a relatively low-cost way to track certain indexes, like the Standard & Poor's 500 index which invests in 500 of the largest U.S. companies. On the downside, stocks have much bigger price swings than fixed-term instruments, meaning that you could lose a large chunk of value in a very short time frame. You need a healthy tolerance for risk to maintain a large equity portion in your portfolio. When you buy a bond, you're basically making a loan to a company or the U.S. Treasury for a predetermined term and at a specified interest rate. The company or Treasury promises to pay the money back on the maturity date. Bonds and other fixed-term investments like certificates of deposit help balance out the risk of equities because they're relatively safe compared with stocks. Treasury Inflation-Protected Securities, for example, are an exceptionally low-risk investment because they are guaranteed by the U.S. government. The Treasury has never defaulted on its debt so your investment is essentially risk-free. TIPS are indexed to inflation so, for example, a 3 percent coupon rate would automatically be adjusted upward by 2 percent if the consumer price index rose by 2 percent. Unlike with stocks, the result is you will never have a negative investment. Bonds do not produce the highest yields – a 30-year bond is yielding an interest rate of around 3 percent in 2018, for example. For a certificate of deposit – a fixed-term, fixed-interest deposit with a bank – you're looking at a 1 to 2 percent return depending on the amount and length of the certificate. These returns are low compared to stocks and ETFs. But they do allow you to preserve capital which is a major consideration as you get closer to retirement age and need to play it safe with your retirement savings. 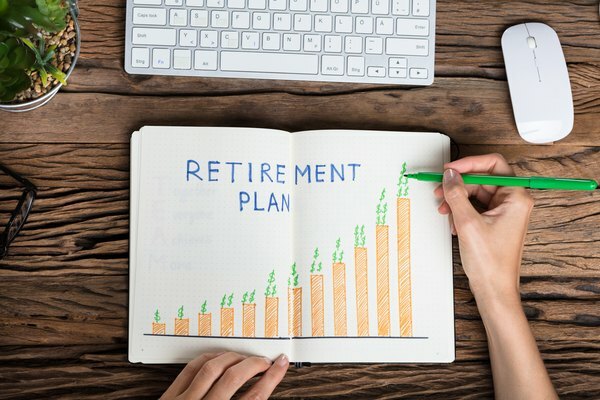 While most brokerage houses focus on stocks, bonds, certificates of deposit and mutual funds, one of the best-kept IRA secrets is that conventional investments are not the only options for your retirement plan. In fact, you can legally own a wide range of alternative investments through a self-directed IRA – think private equity, real estate investment trusts, gold, oil and even cattle. As a general rule, real estate investment trusts – that's companies who own and operate income-producing real estate like apartment blocks – return significantly higher yields that you'd get from interest-bearing investments. Returns have often beaten the stock market, too. Between 2010 and 2017, for example, the MSCI U.S. REIT Index returned 12.99 percent against an average 10.49 percent returned by S&P 500 Index over the same period. These investments are still niche, however, and can suffer from liquidity problems: it's much easier to cash in your large-cap stock, for example, than to cash in gold bullion when you need to withdraw money from your account. The well-known brokerage houses like Schwab and Fidelity won't deal in these types of investments, so you'll have to shop around for a reputable self-directed IRA custodian who can empower you with direct control over where your money is invested. Selecting a portfolio of non-traditional investments can provide another way to hedge against stock market volatility, however, and can create income sources that are not correlated with traditional market returns. Which Asset Allocation Will Work For You? An individual retirement account is, by definition, individual – the clue is in the name. It is up to you to decide how best to allocate your assets as part of your long-term retirement strategy. This largely comes down to your preference for risk versus reward. Everyone's risk tolerance is different. How would you feel if your stocks values plummeted by 40 percent? A portfolio full of stocks is likely to go up much more over time than a portfolio filled with bonds and certificates of deposit. But a market crash could wipe thousands off your IRA's value. If this happens just before retirement, you may be forced to rethink your retirement plans. For most savers, deciding whether an IRA is worth it will depend more on the time horizon than the rate of return for an individual investment. Most experts agree that the longer you have until retirement, the more risk you should be willing to take. That means putting most of your money into stocks in order to capitalize on potentially higher yields. If you are closer to retirement – in less than five years, say – tapering down to more conservative investments makes a lot of sense. That way, if the market takes a dive, you can simply pull from the safer havens in your portfolio. Investopedia: How Does an IRA Grow Over Time? How do I Compute Bond Equivalent Yield & the Effective Annual Rate?